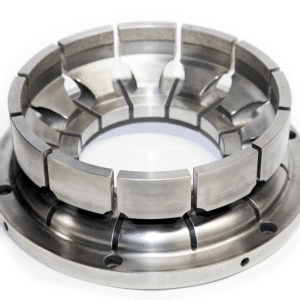 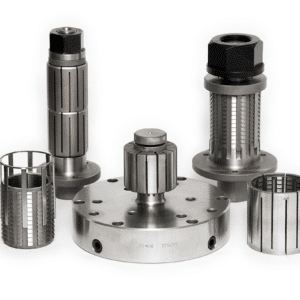 Speedgrip Chuck designs and manufactures internal and external gripping collet chucks, Cameron Sabertooth and internal and external gripping hydraulic chucks and arbors, diaphragm chucks, finger chucks, between centers mandrels, and Madison face drivers. 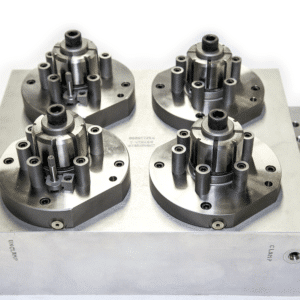 Our workholding equipment is very versatile and ideal for turning, drilling and milling operations, gear cutting and finishing, grinding, balancing, inspection equipment, and has many uses on fixtures plates and tombstones. 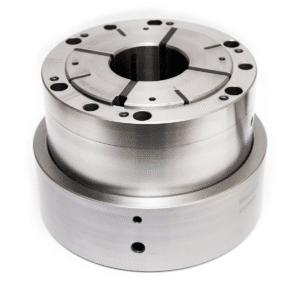 Our vast line of in-stock, off the shelf standard workholding have made us well known in the market for our customers to tool up a machine to grip their parts quickly, economically, and yet with great precision. 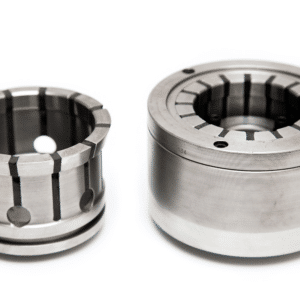 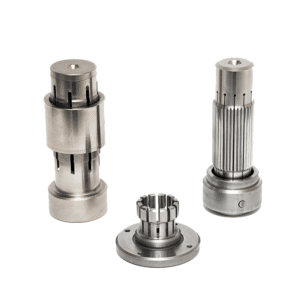 With adapters for lathes, turning centers, gear machines, and grinders and actuators for machine centers, tombstones, and fixtures, we have what you need in-stock. 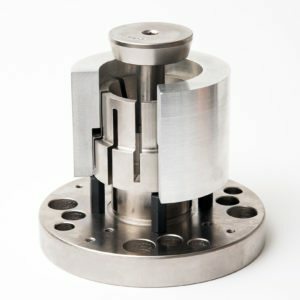 Our engineering departments ability to design workholding for a specific part and operation that is practical, innovative, and cost efficient has given us the reputation for excellence of Engineered Solutions for your Precision Workholding. 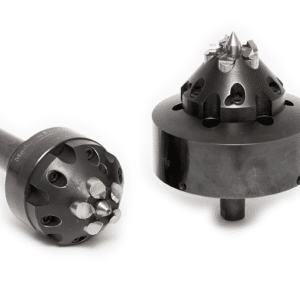 Speedgrip offers a wide variety of collets, chucks, and arbors. 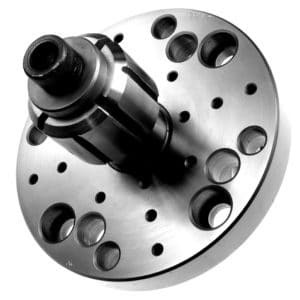 The following describes various types, their respective attributes, typical specifications, and uses. 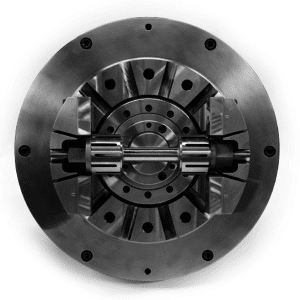 Readily available Collets from ½” up thru 8” stocked in 1/8” increments and to 17” as non-stocked. 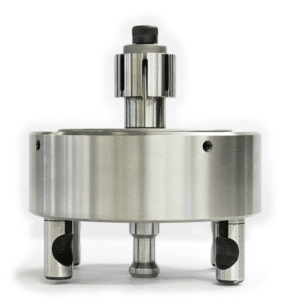 Actuation available: manual, drawbar/tube, and built-in cylinder as required.